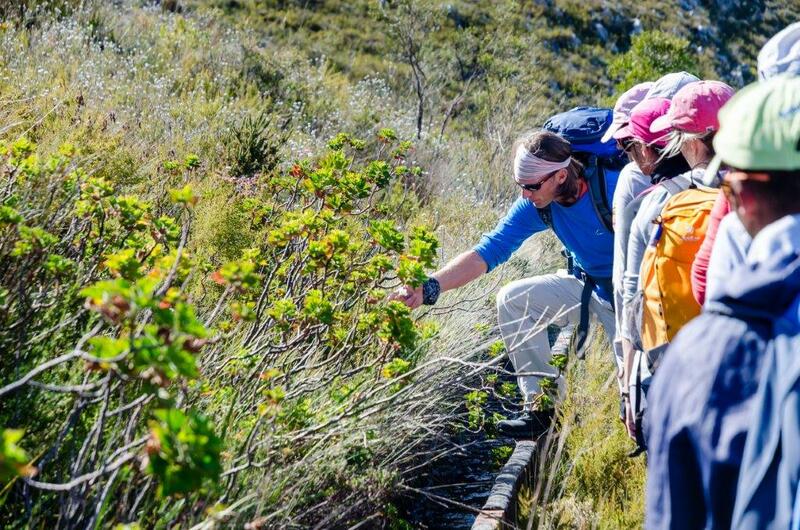 Learn about biodiversity on the recreational Green Mountain Trail, a four-day slackpacking trail in the Overberg region. 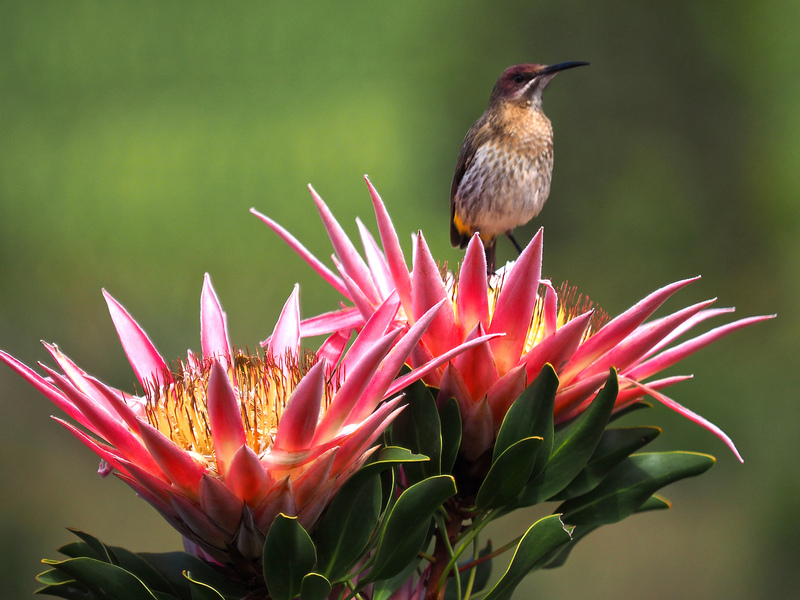 The trail winds through finely woven fynbos and fruit farms with plenty of comfortable dining options and deluxe guesthouse facilities. Accredited, informed guides will tell you all about the life of plants and history of the area. 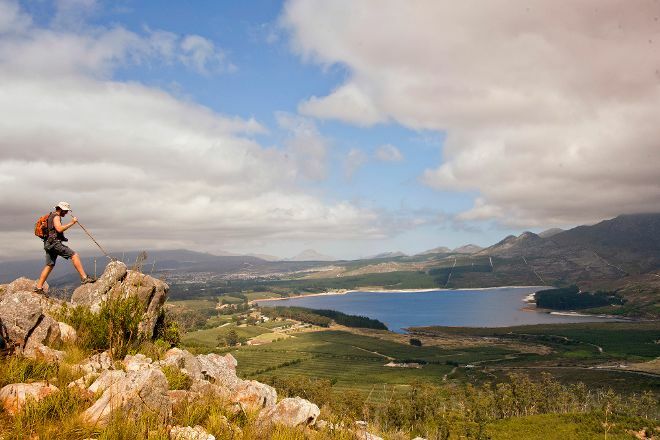 After a stretch of the trek, you can refresh yourself by dipping into a rock pool or a dam. This moderate trail traverses private land, with all farmers being members of the Green Mountain eco-route, a biodiversity wine route. Add Green Mountain Trail to your Elgin travel itinerary, and discover new vacation ideas by using our Elgin travel route planner . A beautiful and well planned trail. Our two guides were exceptional. So interesting and knowledgeable about all the flora and fauna along the trail. Also so helpful to any older slower walkers - like me - in the group. The catering was superb and delicious all the way, with a lovely mix of creative 5star picnics and excellent wine farm meals. The format was exceptionally well thought out and outstandingly executed. Alison and Andre's are to be congratulated for their pioneering work bringing this gem to our doorstep. Thanks to all involved. Every day, we help thousands of travelers plan great vacations. Here are some tips on how to use your Listing Page to attract more travelers to your business - Green Mountain Trail. Promote your permanent link - https://www.inspirock.com/south-africa/elgin/green-mountain-trail-a2133487655 - on your website, your blog, and social media. When a traveler builds a plan from this page, the itinerary automatically includes Green Mountain Trail. This is a great way for travelers looking for a great vacation in your city or country to also experience Green Mountain Trail. Promoting your link also lets your audience know that you are featured on a rapidly growing travel site. In addition, the more this page is used, the more we will promote Green Mountain Trail to other Inspirock users. For best results, use the customized Trip Planning Widget for Green Mountain Trail on your website. It has all the advantages mentioned above, plus users to your site can conveniently access it directly on your site. Visitors to your site will appreciate you offering them help with planning their vacation. Setting this up takes just a few minutes - Click here for instructions.